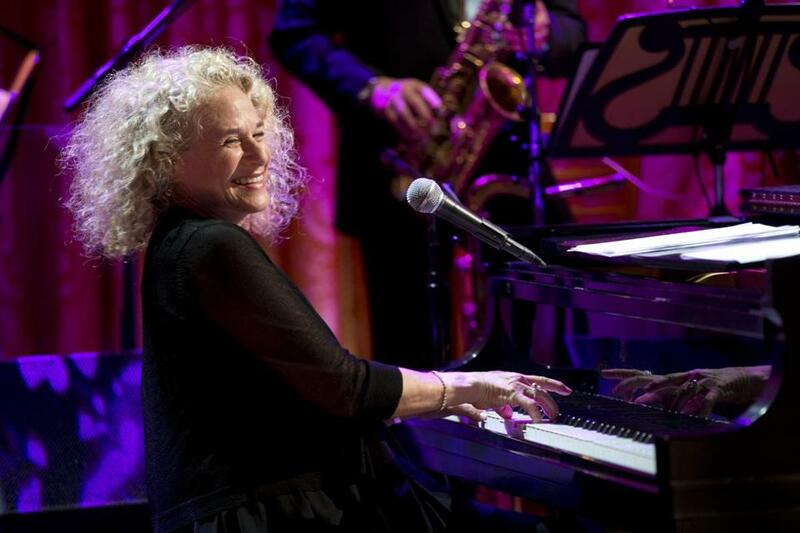 Singer-songwriter Carole King, who performed at the Boston Strong concert Thursday night, will make appearances supporting Markey through the weekend. It looks like Edward J. Markey has a friend. Carole King, the legendary singer-songwriter whose hits include “You’ve Got a Friend,” and “(You Make Me Feel Like) A Natural Woman,” will campaign for the Democratic Senate candidate this weekend, beginning with an appearance at Zaftig’s Delicatessen in Brookline today. The Brill Building alum, who performed at the Boston Strong concert at the TD Garden on Thursday night, will speak to a group called Women for Markey at the Jewish deli in Coolidge Corner, before making stops in Somerville, Lexington, and Wellesley on Saturday and in Cambridge on Sunday. Markey, however, will not be there to croon a few bars with King. The Malden Democrat is scheduled to appear at his own separate events in Boston and Wakefield today, and then make a series of solo campaign stops over the weekend. Aides to Markey’s rival, Republican Senate candidate Gabriel E. Gomez, ribbed Markey for leaving King to campaign alone. King, whose 1971 album “Tapestry” remains a touchstone for a generation, has been quite active on the trail for Markey, who was first elected to Congress in 1976. She headlined a May 24 fundraiser for Markey at the Bel-Air mansion of Walt Disney Studios chairman Alan Horn and his wife Cindy, according to the Hollywood Reporter, and performed at a two-hour fundraising concert for Markey at the Beehive in Boston’s South End earlier this month. King also spoke to Markey supporters in Springfield earlier this month. She said she has known the congressman for years and first met him when she went to Capitol Hill to lobby for a bill to protect the northern Rockies, where she lives.